Batman has apprehended Victor Zsasz - the serial killer who murdered Bruce Wayne's butler and foster father, Alfred Pennyworth. 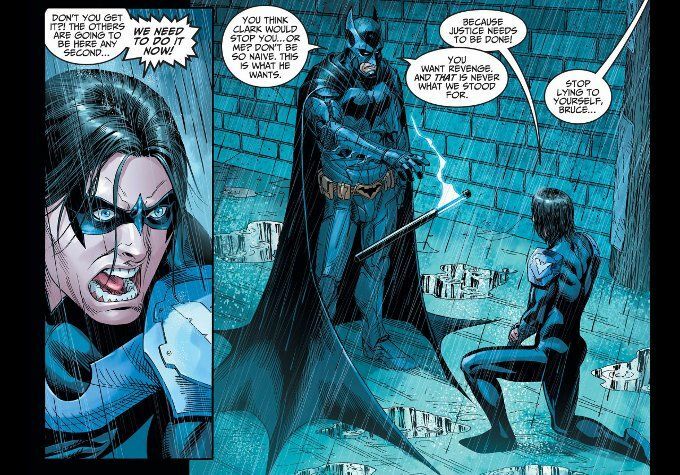 But Damien Wayne - now Nightwing - wants revenge. Yet Bruce needs Zsasz alive to prove that Superman released the serial-killer and set him upon Alfred as a means of luring Batman out in the open. Mike S. Miller is in fine form in this week's issue. 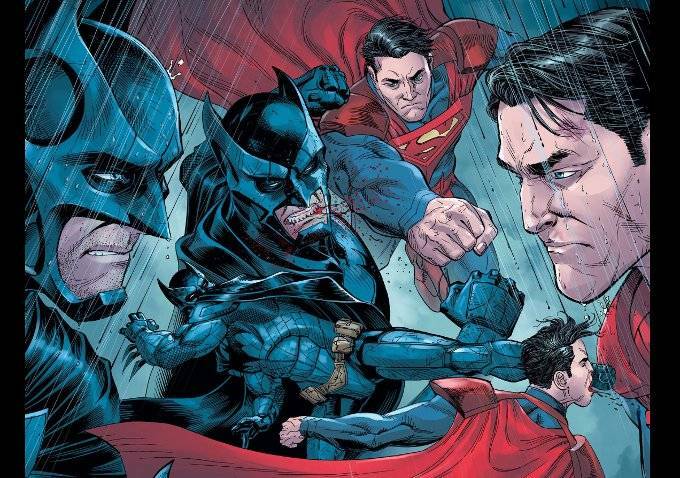 Many of the pages in this issue's Superman vs. Batman fighting montage are poster-worthy in their scope and quality. And J. Nanjan's color art provides a suitably rich finish to Miller's pencils and inks. Brian Buccellato offers up an action-packed script. The fight sequences in this issue are amazing and uncharacteristically without dialogue compared to most of Buccellato's stories. This silence only serves to drive home just how serious things have become, for there are no words that need to be said between these two friends turned foes.